One explanation for the extinction of our hominid cousins is that Neanderthals weren't as smart about what foods they ate as our ancestors. But newly discovered Neanderthal teeth reveal a complex diet, mixing in fruits and vegetables with their meat. It's easy to think of Neanderthals as pure hunters, only eating whatever they managed to kill from hunting - after all, that seems far more in keeping with the "caveman" stereotype. But the eating habits of Neanderthals were far more complex than that, according to analysis of Neanderthal teeth from locales as far distant as Belgium and Iraq. It's only recently become possibly to precisely identify what foods were left behind on the teeth through very careful analysis of grain particles. The data reveals that Neanderthals were eating dates, barley, legumes, and maybe water lilies as well. Of course, the teeth can only tell us the last meals a Neanderthal ate before he or she died, so we can only guess what they were eating before that. We do know that Iraq's Shanidar Cave and Belgium's Spy Cave were near other foodstuffs like walnuts, chestnuts, lettuce and chicory relatives, and other relatives of modern herbs. We also know from earlier research that Neanderthals were near acorns, cattails, and pistachios. "Overall, these data suggest that Neanderthals were capable of complex food-gathering behaviors that included both hunting of large game animals and the harvesting and processing of plant foods." 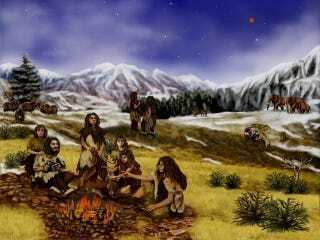 "Neanderthal foraging patterns were much like those of modern humans, including small game, marine resources, plant foods, similar use of fire, some cooking, and other food processing." Bob&apos;s Burgers offers the one thing more annoying than Gene: Yacht people!